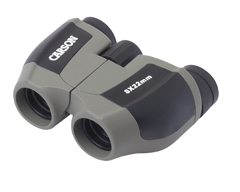 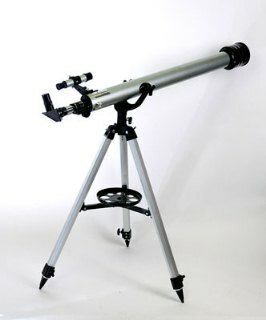 This kidfs microscope features 3 levels of magnification (80X, 200X and 450X) that are ideal for child use. This Kids Microscope Kit provides clear magnification quality for most child use. 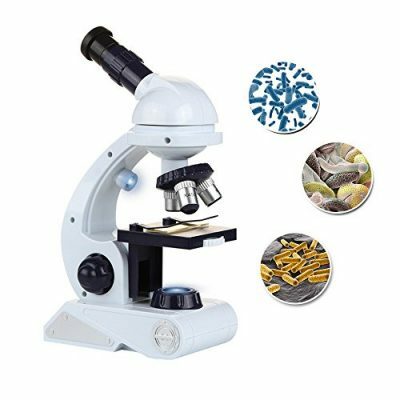 Lightweight and portable, the Kidcia children’s microscope is ideal for pre-school science. 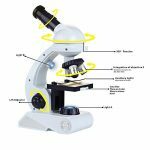 The Microscope offers a powerful 80x to 450x magnification range, making it easy to examine blood samples, bugs, and anything else that’s worthy of a closer look. 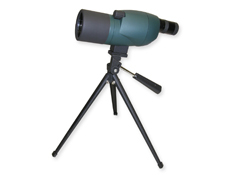 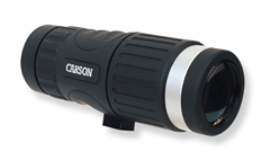 The microscope also includes a built-in LED light that provides a bright, clear image, along with a rubberized eyepiece for comfortable viewing.